Berlin is a special place! 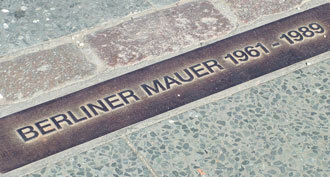 From 1961 until 1989, a 12-foot high, concrete wall ran through, as well as around, the city of Berlin. The wall was called the “Berlin Wall”, and there were only a few places called “checkpoints” where people could get through. 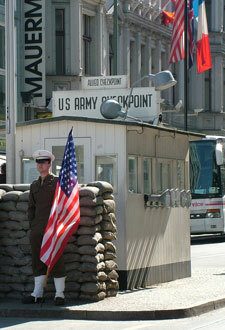 One of the main checkpoint places was “Checkpoint Charlie”. The Berlin Wall was meant to keep the citizens of Berlin from moving about freely, but today the citizens of Berlin can move freely again! They are free to do the things that they like to do once more, and this is really special for them! Just think about how you feel when you are not allowed to do something that you really like to do? It isn’t a lot of fun, is it? Everyone is happy that Berliners are free to move and to do what they want once again! In fact, there was a big celebration in front of the Brandenburg Gate to mark the 20th anniversary of the fall of the Berlin Wall. Lots of world leaders, citizens of Berlin and visitors from all over the world attended this celebration, and those who could not attend were able to watch it on television. Maybe you even saw it yourself! You would have liked the giant dominoes that reenacted the fall of the Berlin Wall! Each one of the dominoes was individually painted, mostly by children of Berlin but also by artists from many countries around the world, to represent what the wall meant and its place in history. If you missed it, you can watch it here on YouTube. Learn more about why Berlin is a special place at Heckery Dekkery Dot Travel Game Postcards for Children’s ifuwerehere.com website and here, too. See what is planned for the 25th anniversary of the fall of the Wall. Finally, send this postcard to tell someone else about this special city! 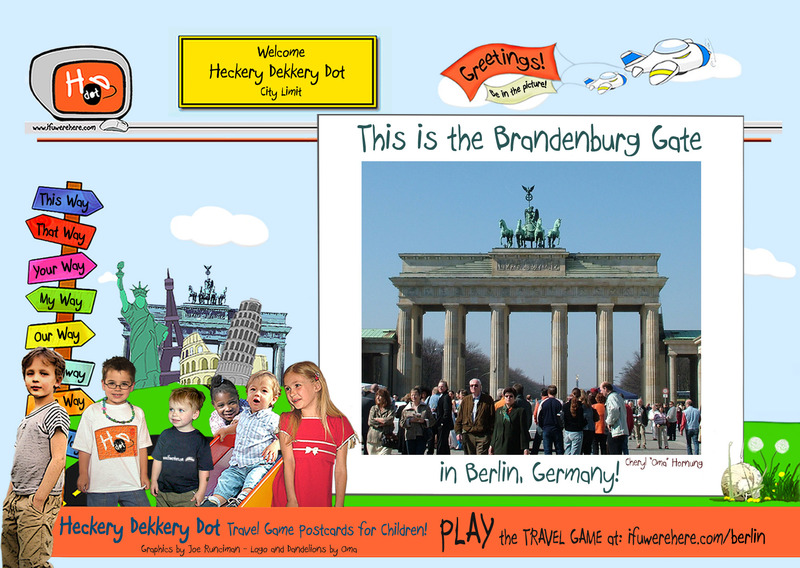 Heckery Dekkery Dot Travel Game Postcards for Children makes it easy for you here! Heckery Dekkery Dot Travel Game Postcards for Children can be sent as you would send any travel postcard, but there is more when you play the game . . . . Heckery Dekkery Dot Travel Game Postcards for Children is a unique travel game which enables all players to learn more about the world around them, but it is first and foremost a children's learning game in which children not only become acquainted with other parts of the world, but also gain respect for other cultures in a fun and easygoing, carefree manner. It is Heckery Dekkery Dot's goal to help children learn about the city featured on the travel game postcard and the people who live there by providing them with an educational as well as a fun website. All photos on this blog were taken by me on my travels unless otherwise indicated. This entry was posted in #Brandenburg Gate, #Checkpoint Charlie, #Children, #Education, #Family, #German Language, #Postcards, #Travel, #Travel #Postcards, Fall of the #Berlin #Wall. Bookmark the permalink.